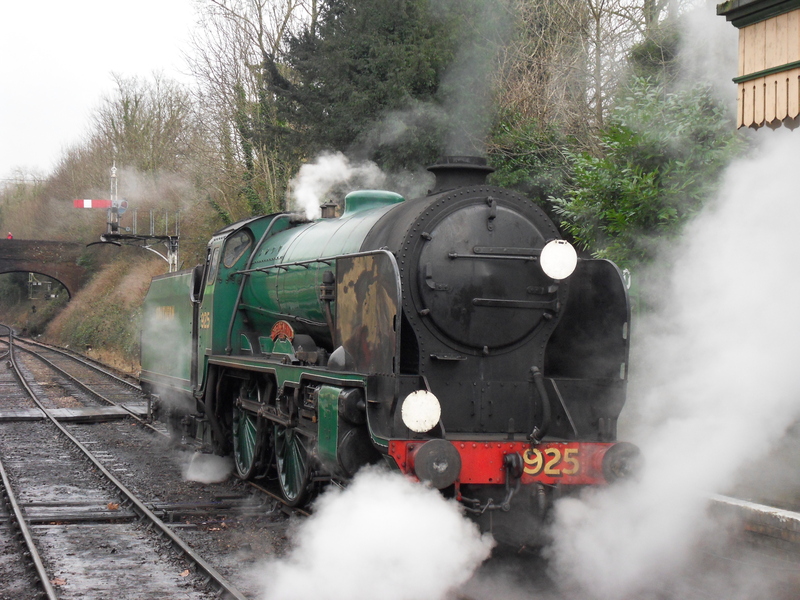 925 “Cheltenham” rests at Alresford awaiting her next duties. As you are no doubt now aware by now, a little while ago now (been rather busy since!) three locoyard bloggers assembled together for the MHR Spring (!?) 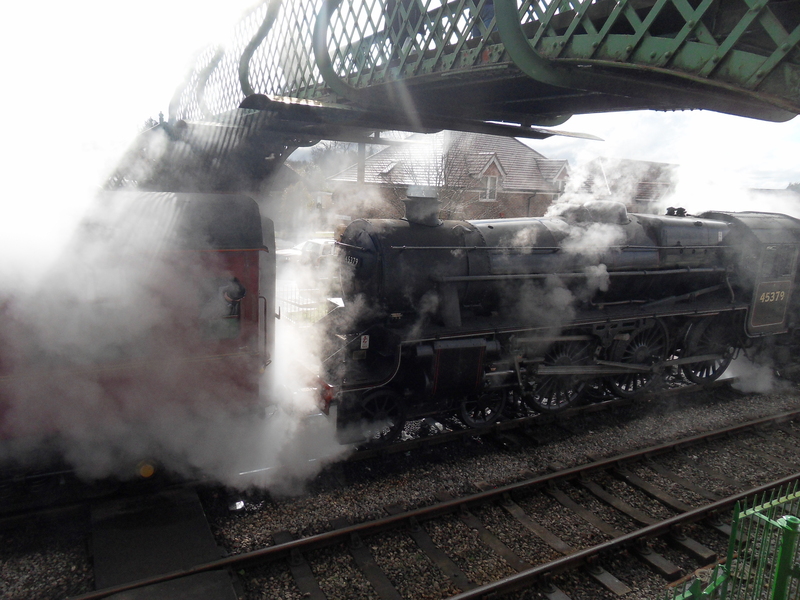 Steam Gala. 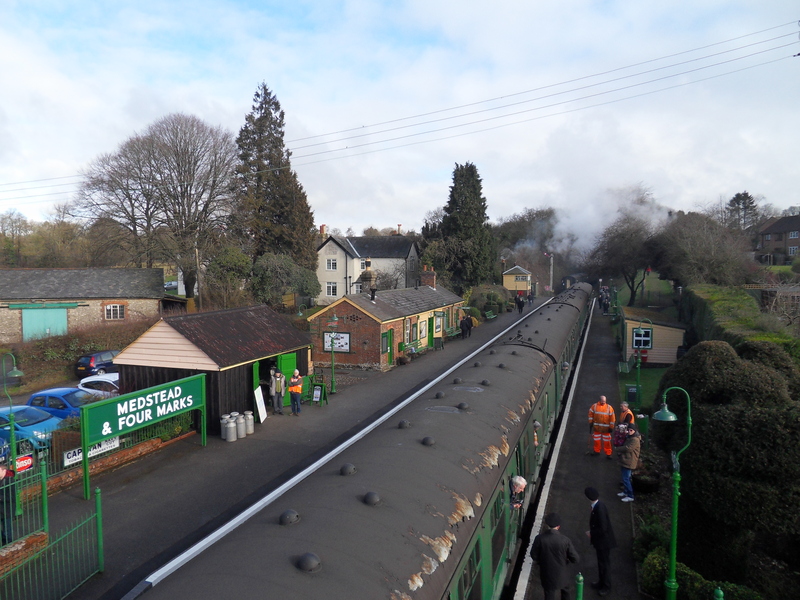 As a first time visitor to the railway it was great to be shown round by Simon and Dave, it made our day much easier as they knew all the best spots, so thanks once again for that chaps. 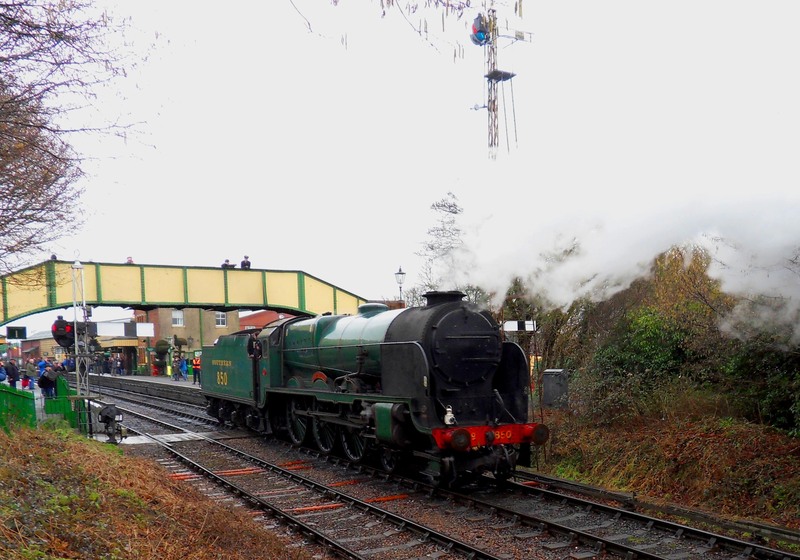 As a rare excursion into Southern territory strange sites greeted me, signals went the wrong way, the coaches were the wrong colour… 😀 However it was good to have some steam action, as the GWSR has its winter shut down period until early March. Our first view upon arriving. 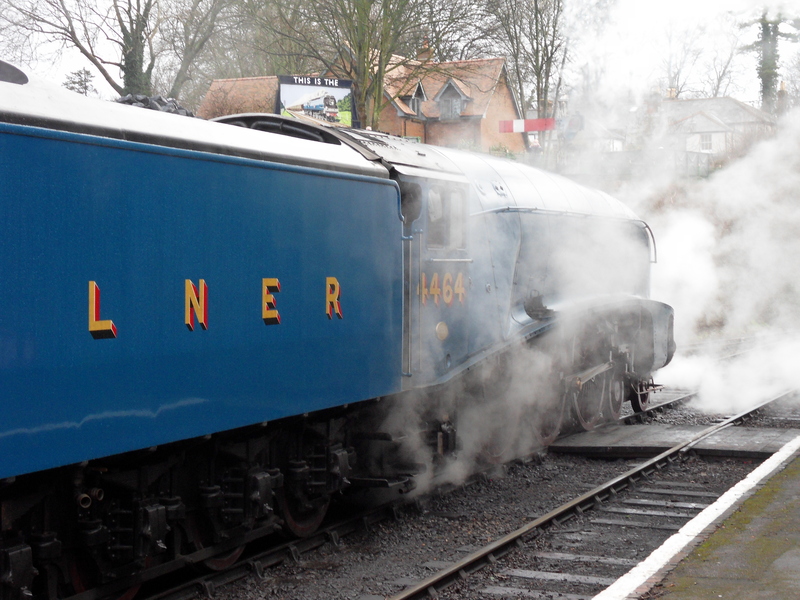 We began at Alresford, greeted by the sight of 4464 “Bittern” fresh from mainline service. As Simon says, this was a major factor in me attending, or to be more specific, Dad driving me there! This was the loco we ended up seeing most of all day in the end, and we had no complaints about that. 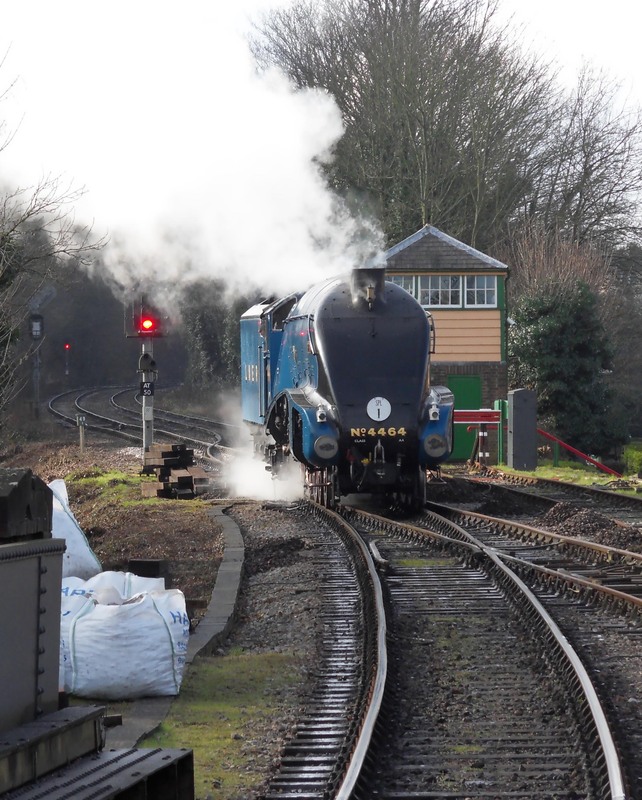 “Bittern” running round at Alton. 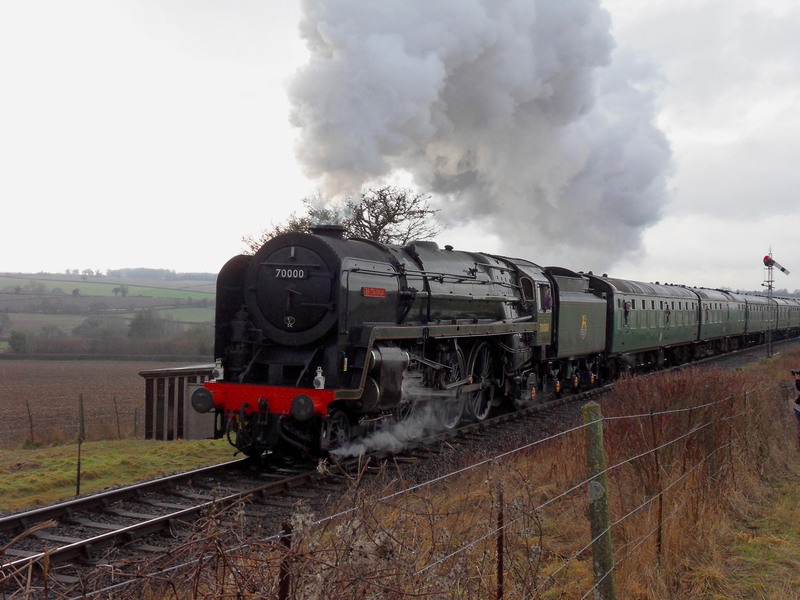 We rode behind Bittern all the way to Alton initially to take in the full length of the line. 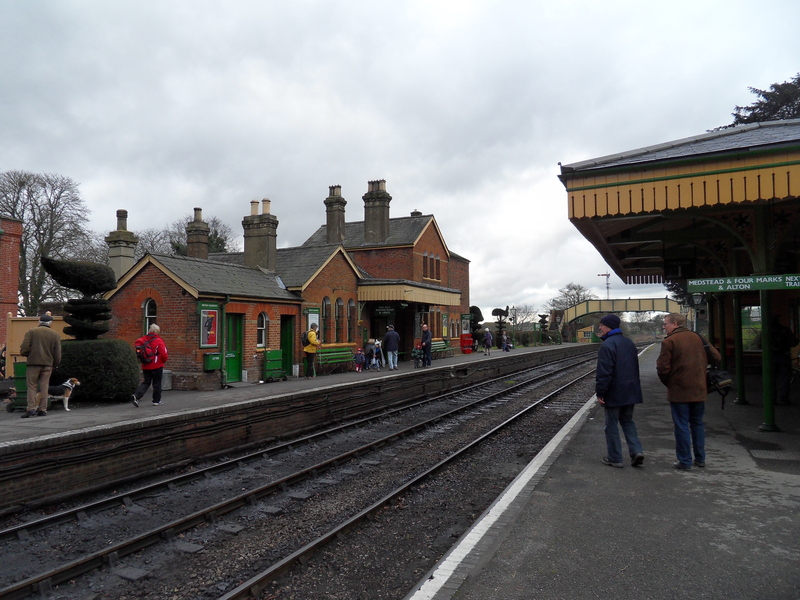 Considering the constraints of only having half of an island platform at Alton to share with mainline trains, the MHR have done a pretty good job of maintaining a heritage atmosphere. 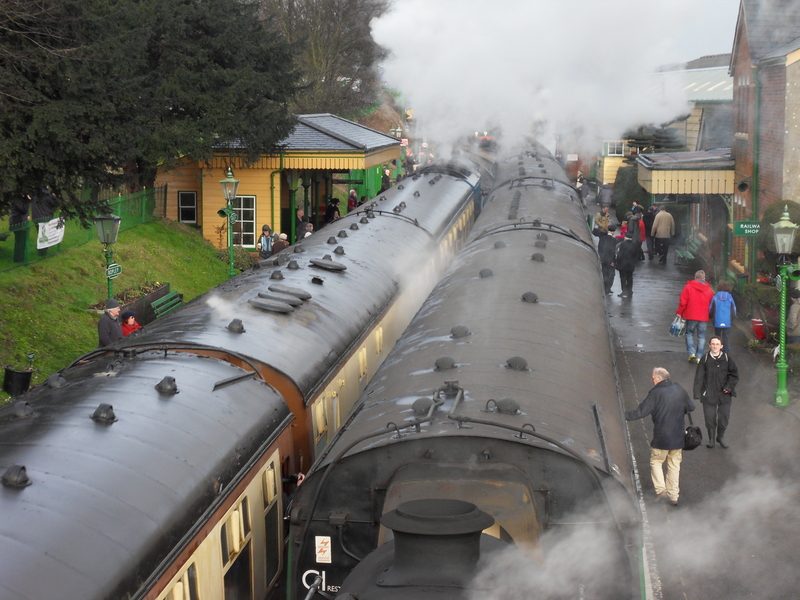 However, there wasn’t an awful lot to do at Alton so we hopped back on the same train. Restored CCT acting as workshop. 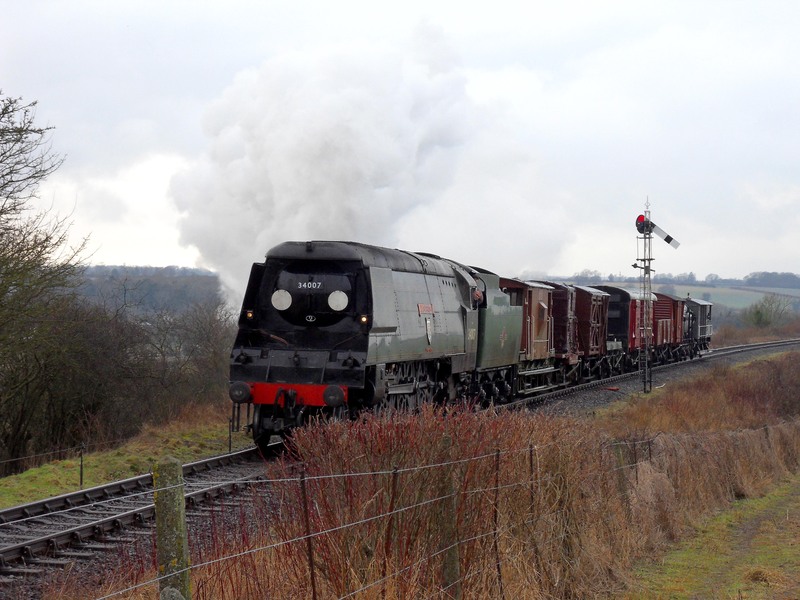 The wagon group do an amazing job in not great conditions, it must be rather cramped working in and around their few sidings, especially as at the moment with some of their precious space taken up by a diesel loco project (class twenty-something was it!?) 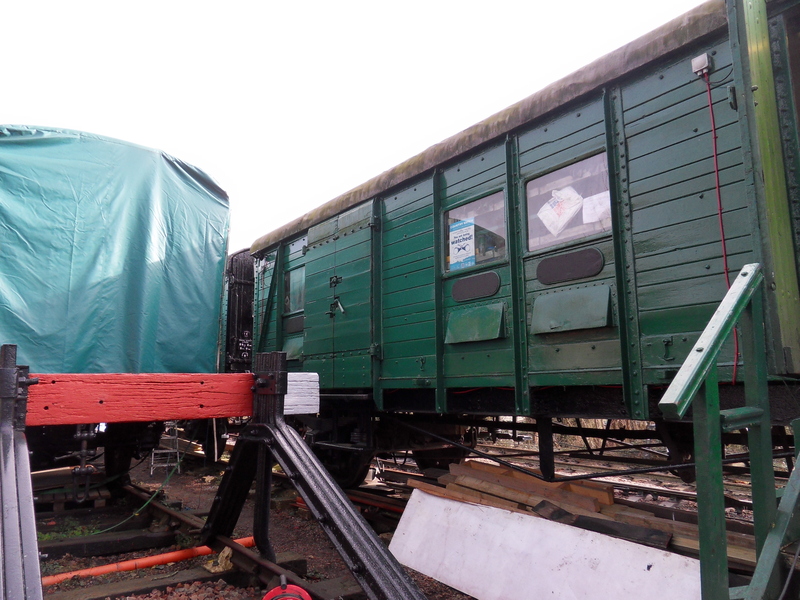 Being a carriage and wagon volunteer it was interesting to hear how they cope, to us working outside just isn’t something we have to content with with restoration work. I was rather pleased with this shot – Black Five 45379 under the footbridge at Medstead with shafts of winter sunlight streaming through the steam. Great photos and brilliant to see you enjoyed yourself. I have never visited the GWSR so cant comment on the comparission but I hope to visit it soon once a certain locomotive is back in action. Tho I did notice you managed to half catch me in one of your photos lol. Thanks Simon, Hopefully not long now until P&O’s ready – I can’t wait! I thought that might have been you in one of my photos, couldn’t be sure though! A GWSR visit has long been on the cards because of your GWR fleet I want to see such as 2807 🙂 Shame the gala had to be the weekend of my wedding anniversary. I really need to visit the MHR. The closest I got to visiting was when my cousin had a wedding a few miles away. It is a shame I could not take a few hours out of the wedding for the visit! Might have to visit during a gala. Excellent article by the way. Some fantastic locos on display. Alas, I now live in Perth (Aussie) so have little chance of seeing such great preserved railways of the UK. Hence, building my steam layout.